A laptop case is an important investment, particularly if you depend on your laptop for work or university. Laptops can cost hundreds, even thousands of pounds, making it vitally important to ensure that your technology is protected. Commuters who need to keep their laptop on their person are constantly at risk of damaging their laptop without adequate protection. Those of us who work on our laptops could not afford to lose it. By choosing a well fitted laptop case with adequate protection, you can be assured that your all-important laptop will be safe on the move. There are a few main laptop bag styles to choose from, each one comes with its own benefits and different levels of protection. Laptop bags in the style of a briefcase are designed for carrying by their handle. These bags have a professional look, making them a natural favourite with office workers and managers. Designed for the worker, these laptop bags have the benefit of having space for other items such as papers, pens and small folders. Look out for protection for your laptop. There will often be internal straps which enable you to keep your laptop safely held in place. 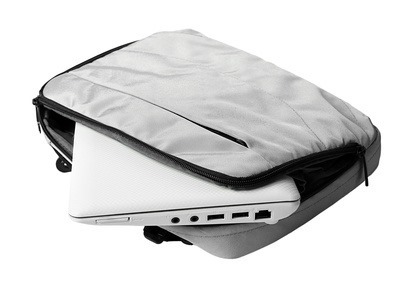 Laptop sleeves are ideal for those who travel around a large office with their laptop. If you’re not travelling on public transport, a laptop sleeve could provide adequate protection. Laptop sleeves don’t provide high levels of protection so are not recommended for people who need a laptop case which is suited to travelling on public transport or during harsh weather conditions. If you mainly travel in your own car, in and out of the office, a laptop sleeve would be adequate, providing you are always careful about putting your laptop down gently to ensure that it does not sustain any damage. Backpack style laptop bags are a favorite with students who travel around a lot as they are not only comfortable, but very functional. Backpack style laptop backs have internal storage space specifically for a laptop, whilst also providing adequate space for other items. These bags often come with plenty of padding for both your laptop and your shoulders, making it a comfortable choice. Backpack style bags are the ideal way for cyclists to transport their laptop around with them, as the bag is completely out of the cyclists way when out on the road. These bags are also ideal for commuters who don’t mind wearing a back pack to the office. Some commuters may feel compelled to use another style of bag for professional purposes. Messenger bags are a convenient way to safely transport your laptop around with your other belongings. Messenger bags tend to be very durable and have extremely strong straps, ideal for anyone who travels a lot. Messenger bags usually have a padded compartment to keep your laptop secure. Some brands even provide an additional strap which keeps the laptop bags strapped to your waist. Harry Holmes is a technology enthusiast. He often commutes with his laptop and bought a laptop bag from www.taylorhe.co.uk.